When someone asks you about what your business is or shows an interest as a prospect, what do you say? Nobody cares about your products & services…except you! …join us to hear more from Simon about the biggest and most common mistake business owners and sales people make when selling their products and services and how you can take a different approach. You’ll learn about the buyer’s system and what you can do to interrupt this. 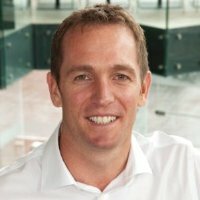 Simon brings over 20 years of real world sales and management experience to his clients. He is dedicated to working with business owners, MDs, CEOs, managers, sales people and non-selling professionals to support them in developing the attitudes, behaviours and techniques to reach their full potential. Sandler is the UK’s leader in sales, sales management and customer care training.